Dr Samar Mubarakmand and Thar Coal Project . Homethar coalDr Samar Mubarakmand and Thar Coal Project . Saint Anthony�s High School, Lahore: Matriculation, 1956; Govt. College Lahore: M.Sc (Physics), 1962; University of Oxford, England: D.Phil. (Experimental Nuclear Physics), 1966. 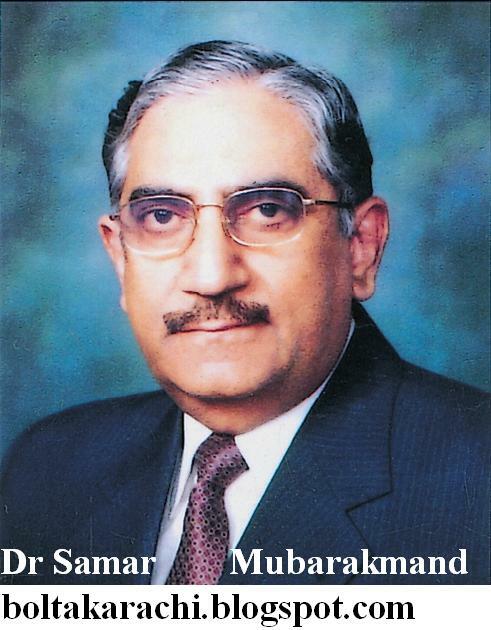 Member, Science & Technology, Planning commission, Government of Pakistan, 2008 to date; Special Assistant to the Prime minister of Pakistan on Science & Technology, 2007-2008; Founding Chairman, National Engineering & Scientific Commission (NESCOM), 2001-2007; Member Technical, Pakistan Atomic Energy Commission (PAEC), 1995-2000; Director General, PAEC, 1994-1995; Director, PAEC, 1985-1994; Chief Scientific Officer, PAEC 1979-1985; Principal Scientific Officer, PAEC, 1973-1979; Senior Scientific Officer, PAEC, 1966-1973; Scientific Officer, PAEC, 1962- 1966. Nishan-i-Imtiaz 2003, Hilal-i-lmtiaz 1998, Sitara-i-Imtiaz 1992; Dr. Nazir Ahmad Award, 2005; International Scientist of the Year 2007. Life Member, Pakistan Nuclear Society; Founding Member, Society for Promotion of Engineering Sciences & Technology in Pakistan (SOPREST) and board of Governors, GIK Institute, TOPI; Life Patron & Member, Board of Governors of Al-Shifa Trust; Member: Board of Governors, COMSATS Institute of Information Technology; Selection Board , Quaid-e-Azam University; Board of Governors, Muhammad Ali Jinnah University; Board of Governors, FAST University; Council of Pakistan Academy of Sciences, 2006-2008; Steering Committee, Higher Education Commission (HEC). Nuclear Instrumentation, Fiber Optics, Application of LASERS, Nuclear Weapon Systems, Nuclear Diagnostics, MissileTechnology. Work is initiated on exploiting energy potential of coal reserves of Thar which will start producing electricity within two years, enough for next 40 years, without any single Second of Load Shedding. 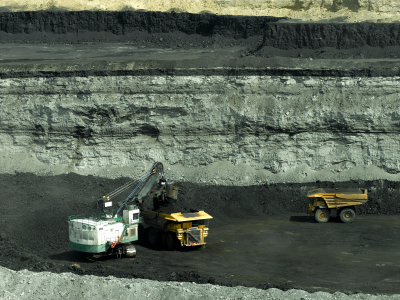 These reserves of coal worth US $ 25 trillion can not only cater the electricity requirements of the country for next 100 years but also save almost four billion dollars in staggering oil import bill. Renowned nuclear Scientist Dr. Samar Mubarak Mand said if all the oil reserves of Saudi Arab & Iran put together, these are approximately 375 Billion Barrels,but a single Thar coal reserve of Sindh is about 850 Trillion Cubic Feet,which is more than oil reserves of Saudi Arab & Iran. He mentioned that these reserves estimated at 850 trillion cubic feet (TCF) of gas, are 30 times higher than Pakistan �s proven gas reserves of 28 TCF. Dr. Samar Mubarak Mand said that just 2% usage of Thar coal can Produce 20,000 Mega Watts of electricity, adding if the whole reserves are utilized, then it could easily be imagined how much energy could be generated. The coal power generation would cost Pakistan PKR 5.67 per unit while power generated by Independent Power Projects cost PKR 9.27, he went on to add. He was of the view that it requires just Rs. 420 Billion initial investment,whereas Pakistan receives annually Rs. 1220 Billion from Tax Only. He said federal government has released Rs 984.9 million for Underground Coal Gasification (UCG) schemes being undertaken in Block V of Thar. The scheme is aimed at producing coal gas for power generation he said, adding UCG is the most important clean coal technology of the future with worldwide application and a substitute for deep mining of coal for power generation. Dr. Samar elaborated that the technology is based on an easy and simpler method of producing of coal gas instead of the difficult and time-consuming process of mining of coal lying in the depth of the deposits. rail link from Hyderabad is up to Naukot, which is about 100 kilometers from Islamkot. dependent on agriculture and livestock. evaporation. As such, limited water resources are of great significance. Ranges between 52.70 and 93.27 meters depth. Varying thickness up to 68.74 meters. Varying thickness up to 47 meters.